You can tell that a new television season is in full swing when we need another TV WEEK so soon here at Daily Billboard. 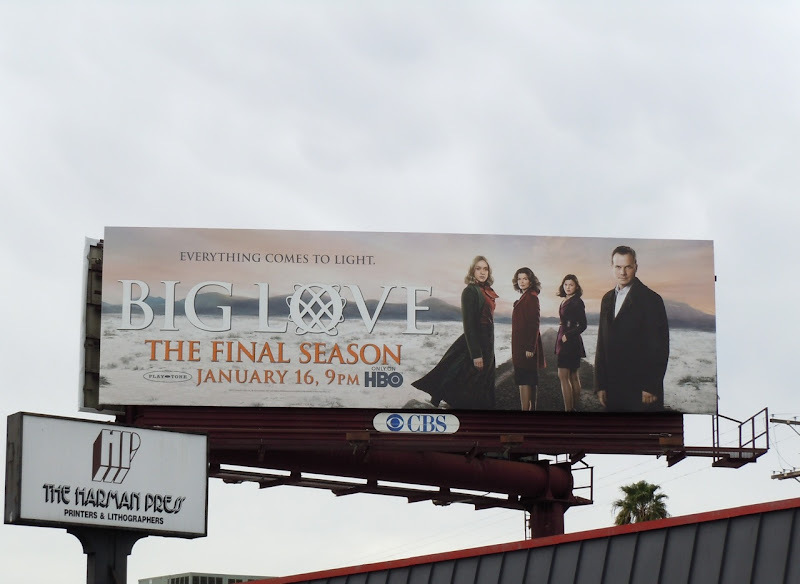 Everything comes to light and everything comes to an end with the fifth and final season of polygamy drama Big Love. 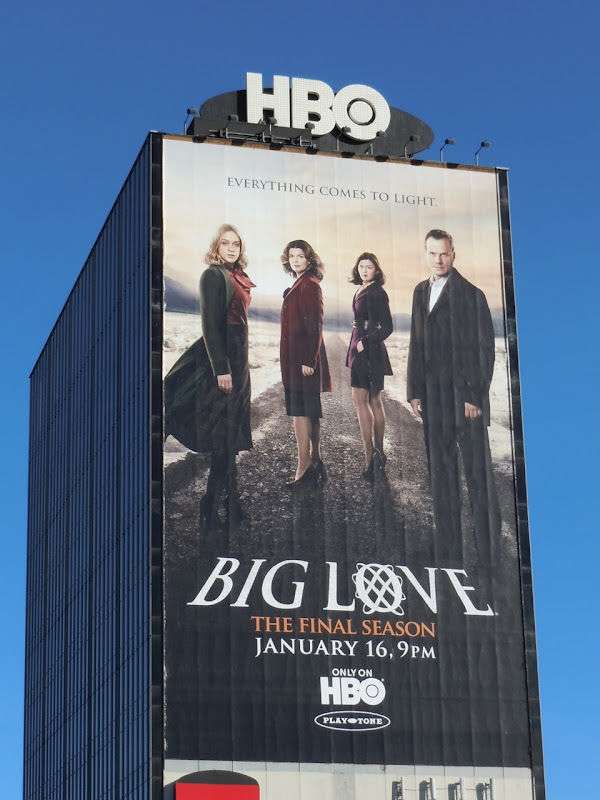 It looks like it's the end of the road for Bill Paxton and his three wives (played by Chloe Sevigny, Jeanne Tripplehorne and Ginnifer Goodwin) in this evocative billboard for the critically acclaimed show. 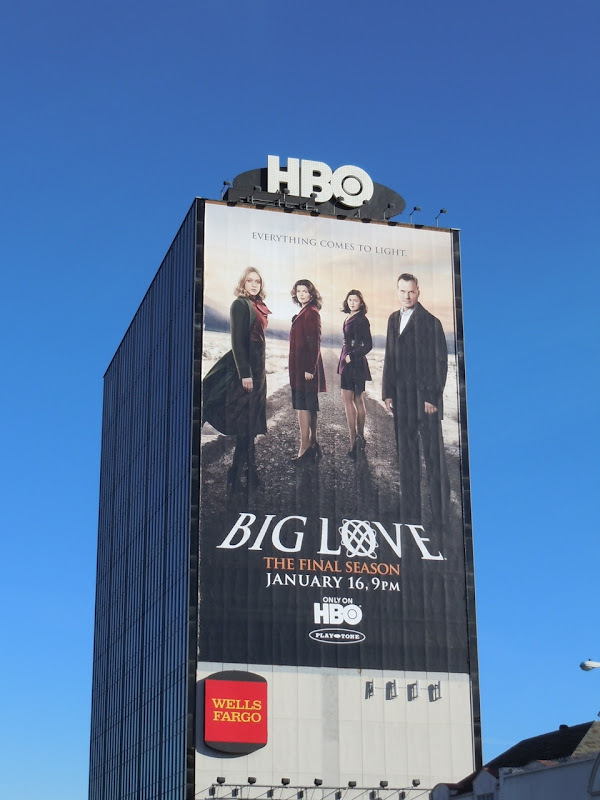 The spectacular sized billboard was snapped along Sunset Boulevard on December 30, 2010 and the smaller version along La Brea Avenue on January 2, 2011. Stay tuned for more great TV billboards advertising new seasons and new series premiering this month.